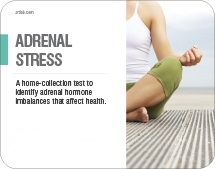 Testing the levels of your adrenal hormones can help you to get to the bottom of an array of different issues. It can help determine if you are working too hard or are too stressed. 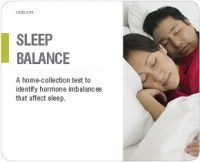 It can help you understand your sleep patterns and energy levels. This testing kit is the perfect first-step toward diagnosing a variety of disorders associated with adrenal gland dysfunction. The adrenal stress profile kit is recommended for patients experiencing chronic stress, fatigue, sleep disturbances, allergies, and/or lowered immunity, which are all indicators of adrenal imbalance. 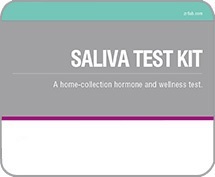 It is a saliva test that measures the levels of the adrenal hormones DHEA-S and diurnal cortisol (morning, noon, evening, nighttime). This is recommended for situational stress and fatigue, which is an indicator of adrenal imbalance. It measures the levels of cortisol in the morning, noon, evening, and night-time using a simple saliva test. The industry’s most accurate sleep-wake cycle testing kit reveals whether your hormone levels are a hidden barrier to restful sleep. It measures cortisol and melatonin in dried urine samples that you collect at four time points to provide true 24-hour sleep-wake pattern information.